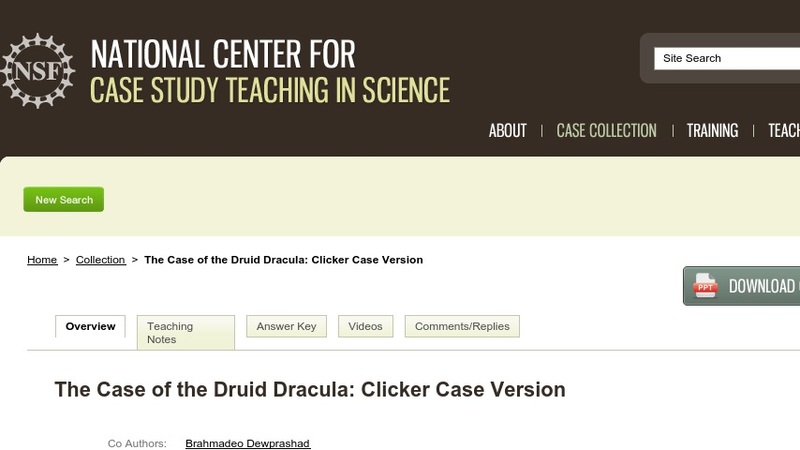 This “clicker case” is a modified version of another case in our collection by the same name. It uses a PowerPoint presentation (~3MB) to present the case, which is punctuated by multiple-choice questions that students answer in class using hand-held personal response systems ("clickers"). The story revolves around a murder committed in Wales that was solved through DNA analysis. Students learn about DNA structure and replication, and how scientists have adapted this process for use in experimentation and forensic analysis, including PCR analysis and DNA fingerprinting. The students then use this knowledge to identify possible suspects in the crime. The case is designed for use in an introductory biology course either for science majors or non-majors. It could be modified for use in upper level classes as well.